While the men waged war during America’s fight for independence, there is an urban legend of at least one woman that joined the fighting. 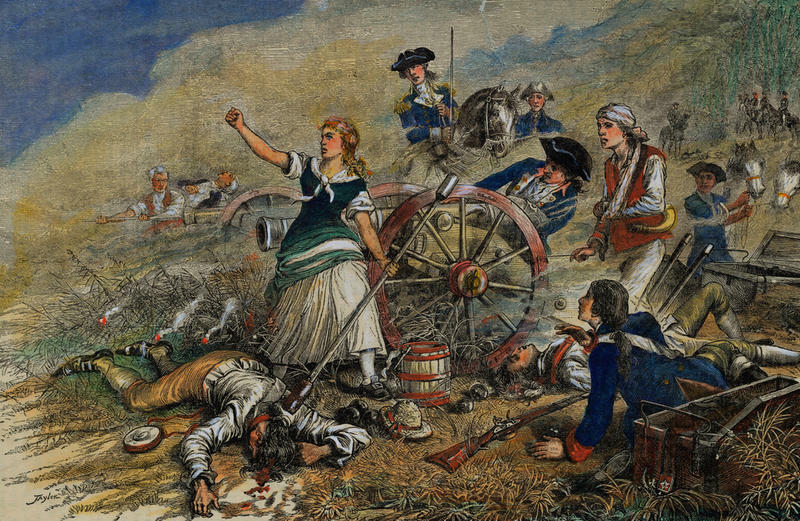 Nicknamed Molly Pitcher, this heroine of the Revolutionary War’s Battle of Monmouth was most likely a real person, but her battlefield escapades grew and became more exaggerated until she took on a folklore status. Let us try to peel back the layers of myth to find out who the woman behind the Molly Pitcher legend really was. 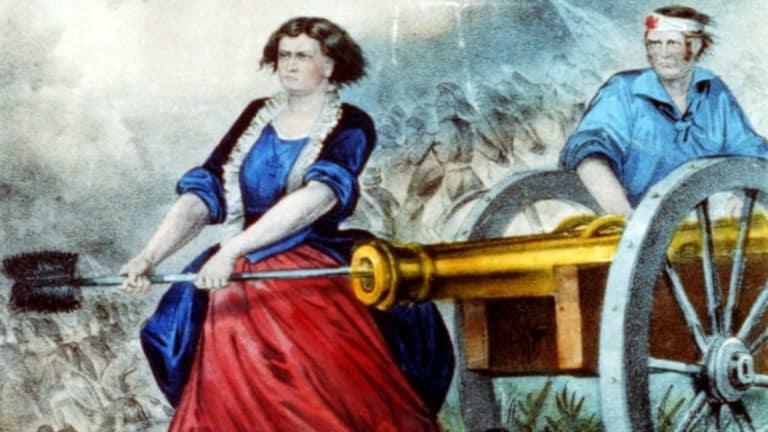 By most accounts, Molly Pitcher was likely Mary Ludwig Hays McCauley. First, Molly was a common nickname for Mary at the time. Second, historians have been able to determine that Mary’s husband, William Hays, was an artilleryman for the Continental Army during the 1778 Battle of Monmouth in New Jersey. Mary joined her husband and carried water to the soldiers to keep them hydrated on a hot day. When her husband collapsed…it is not clear if he was injured or suffered from heat stroke…Mary took his place at the cannon and kept the weapon loaded and firing throughout the remainder of the battle. The story of Margaret Corbin is similar to that of Mary Hays and she is just as likely to be the basis for the Molly Pitcher legend. At that time, Molly was also occasionally used as a nickname for Margaret (if we remember, the Unsinkable Molly Brown was named Margaret). Like Hays, Margaret Corbin’s husband, John, was also an artilleryman in the Continental Army. John Corbin joined about 2,800 other American soldiers in defending Manhattan’s Fort Washington on November 16, 1776. When her husband was killed, Margaret took over for him until she was wounded herself. Margaret Corbin earned the nickname “Captain Molly” and was the first female in the country to receive a military pension. 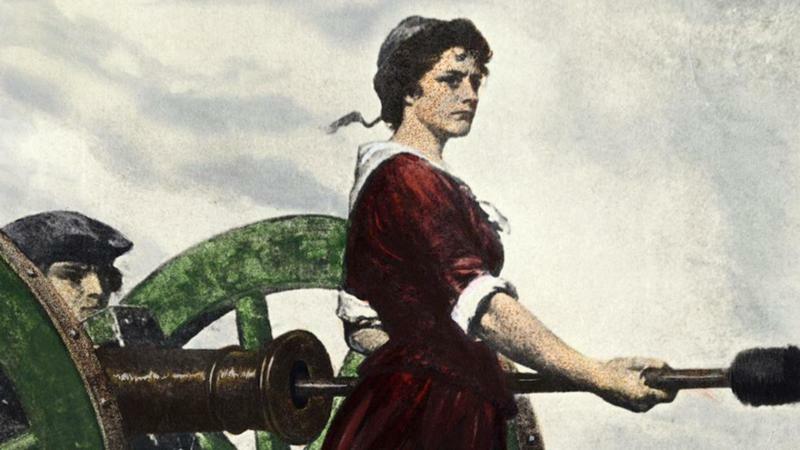 The most likely scenario is that Molly Pitcher was a composite of several brave women who joined their husband in battle during the Revolutionary War. It was not uncommon for wives to accompany their husbands to their wartime posts. 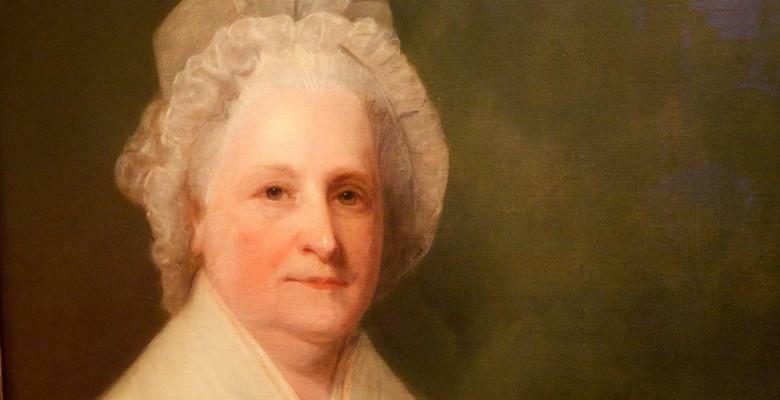 In fact, numerous women helped tend the soldiers at Valley Forge, working alongside Martha Washington to see that the men were fed, clothed and that their medical injuries were tended, despite that adverse conditions and meager supplies. 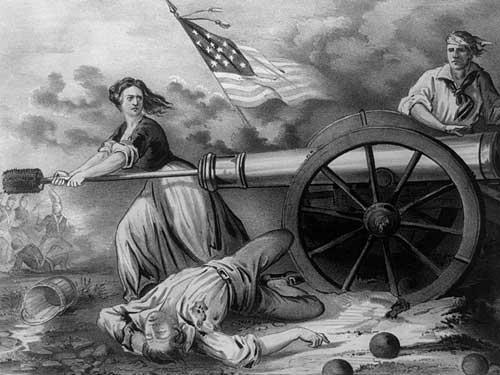 The term “Molly Pitcher” became assigned to all women who aided on the battlefield. Women brought jugs or pitchers of water to the hardworking soldiers, in addition to serving as battlefield nurses. When a soldier was thirsty, he would yell, “Molly! Pitcher”, thus giving the female helpers their nicknames. Unfortunately, many of their names have been lost to history so their brave efforts cannot be documented. 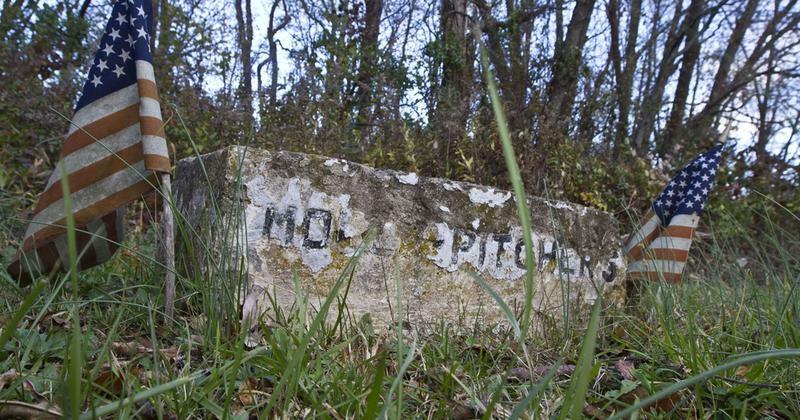 Many of the women were referred to simply as “Molly Pitchers” and no one but their husbands knew their real names. Today, there is a historical site in Manalapan Township, New Jersey, near the site of the Battle of Monmouth. At this location, there is a well over a spring that is said to be the source of the water that Mary Hays/Molly Pitcher brought to her husband and the other members of the Continental in the June 1778, battle.